LANSING, Mich. — State Sen. Ken Horn last week joined Huron Eastern Railroad staff for a tour of their operations and a trip down the rails to one of their common stops, Sargent Docks. Beginning in Buena Vista, Horn met with representatives from the railroad as they prepared for their trip along Saginaw’s railways to the docks. As Horn made his way through Saginaw toward the docks, the Huron Eastern crew made sure he had a chance to experience every aspect of the train, from how the train is started and the process to get it moving to lessons on the various gauges, dials and levers inside the engine. Horn and the crew continued down the tracks and eventually reached their final stop at Sargent Docks in Zilwaukee. Upon arrival, Horn was kindly greeted by staff and promptly began a thorough tour of the facilities. “The tour was unlike anything I’ve ever seen,” Horn said. “The massive silos at Sargent Docks are filled with salt, potash and various other minerals. We walked from silo to silo and the staff were able to tell us what was in each one, when they got it and where it was going. They are incredibly on top of their operations. Lastly, the group made their way back toward the tracks and watched as loads of potash, which is commonly used in fertilizers, were unloaded from railroad cars onto the conveyer belt and up into the silo. Horn said he considered the tour to be a great success and a perfect way to continue the series. “We were incredibly fortunate to have such a knowledgeable and courteous staff on the railroad and at the docks,” Horn said. “What really impressed me was how intertwined the operations of the railroad and the docks are with all of the local businesses in the area. To view a video of Horn’s tour, click here. 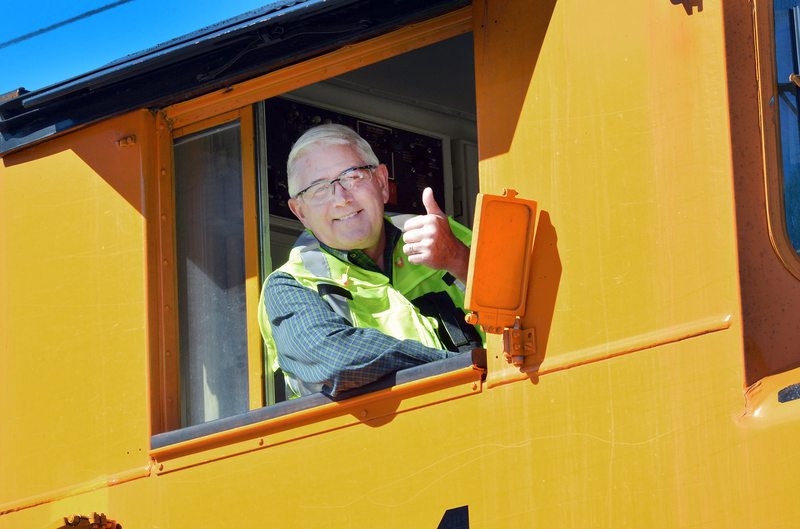 PHOTO 1 CAPTION: State Sen. Ken Horn, R-Frankenmuth, gives the crew on the ground a “thumbs up” as the engine approaches the yard at Sargent Docks. 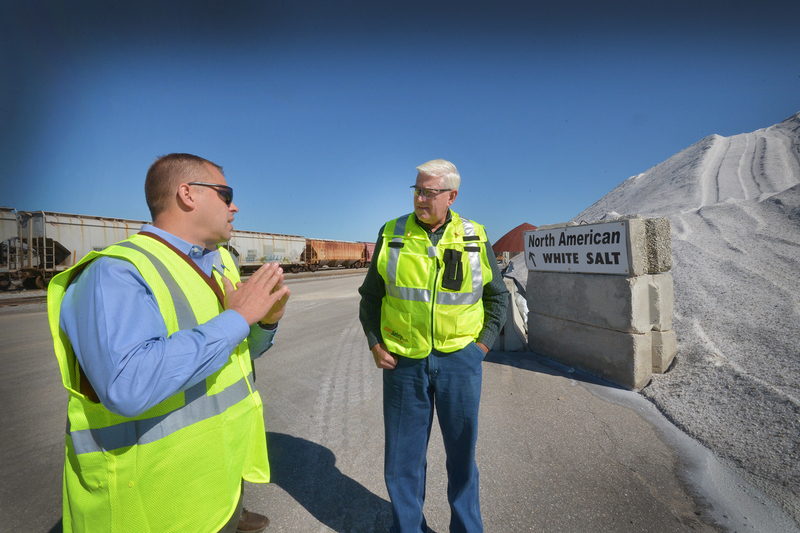 PHOTO 2 CAPTION: State Sen. Ken Horn, R-Frankenmuth, stands with Bill Webber, owner of Sargent Docks, in front of a mound of salt as they discuss how the salt is converted into brine, which keeps our roads safe in the winter. 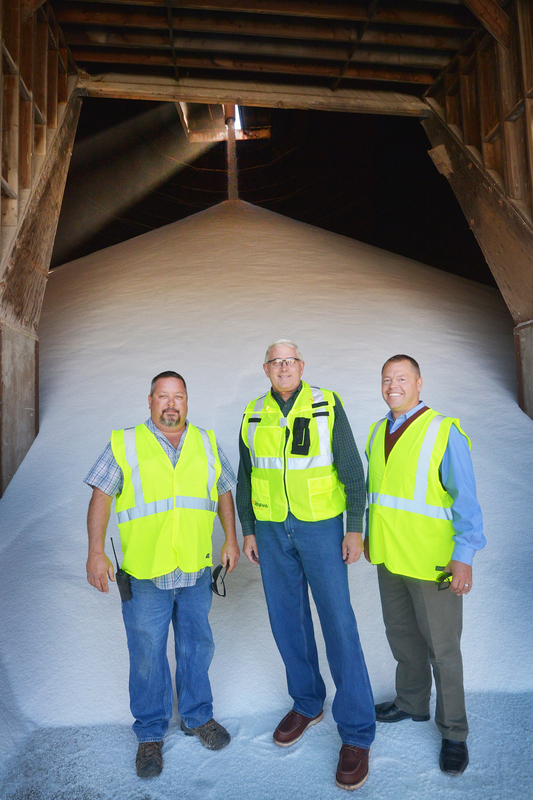 PHOTO 3 CAPTION: State Sen. Ken Horn, R-Frankenmuth, stands with Bill Webber and Dock Operations Manager Jim Cnudde as the silo behind them is being filled with potash.